Too much software, too little time to find out if it’s actually any good. With so many apps floating around, it’s hard to determine exactly which ones will actually improve the productivity and performance of your system — and which ones just contribute to slowing your computer to a crawl. 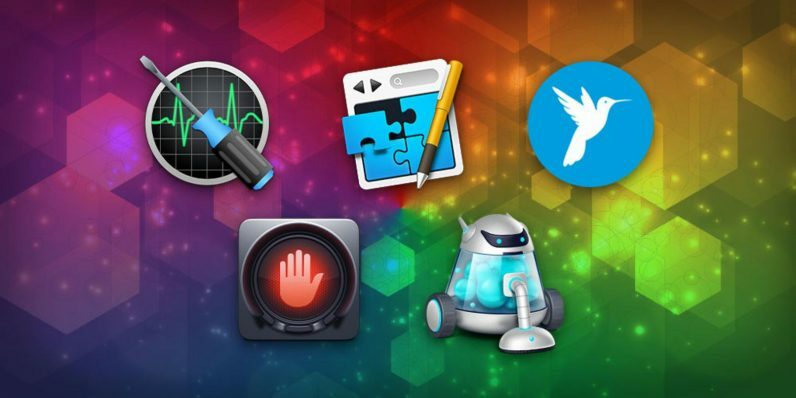 To help, we’ve assembled a killer Fab Five collection of apps that should be on every Mac, and you can get them by paying any price you want with this TNW Deals offer. Here’s how it works: Pay any total at all and you’ll automatically get MacCleanse, one of the most powerful file cleaning programs you’ll find for your Mac. MacCleanse delves deep into your systems, scouring through all your files and programs and scrubbing away all the junk you don’t need. From duplicate apps to unused extensions to outdated logs and file caches, MacCleanse sweeps away the unneeded clutter that’s hampering your system performance. And if you’re going to have a computer free of unnecessary files, you might as well get some cool new apps to take advantage of that revitalized system. By matching the average price paid by other shoppers like you, you’ll get another four apps. The highlight here is TechTool Pro 9.5, the deep diagnostic testing program that checks and repairs your RAM, processor, cache and every corner of your system. You’ll also get RapidWeaver 7 for building websites with no coding knowledge; Hands Off to regulate system security and protect vital information; and AfterShot Pro 3, a revved-up photo editing suite. These five apps are worth about $350 together, so meet the average price on this limited time offer and get the whole bundle for pennies on the dollar.